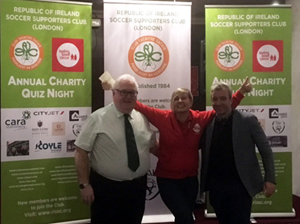 We in the Republic of Ireland Soccer Supporters Club (London) hosted our Twelfth Annual 2017 Charity Quiz in aid of ‘Beating Bowel Cancer’, our nominated charity for this club year, in the Bentley Room at the Clayton Crown Hotel, Cricklewood on the evening of Friday the 27th January 2017. 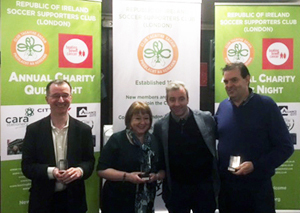 Former Irish international and Everton legend Kevin Sheedy became an Ambassador for the charity in March 2014. Kevin was diagnosed with bowel cancer in 2012 and both his parents have been affected by the disease. Following treatment, Kevin was given the all-clear and is now helping to raise awareness of bowel cancer. The event proved another resounding success and we are delighted to have been able to present ‘Beating Bowel Cancer‘ with a cheque for £5,500 the total proceeds of the evening, together with personal contributions and other associated events. 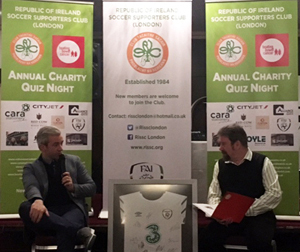 We were delighted to welcome the recently retired, thirty nine times capped Republic of Ireland international footballer Stephen Hunt as our special guest and Stephen provided an enthusiastic audience with an array of thoughts, both anecdotal and serious, from his career in football. 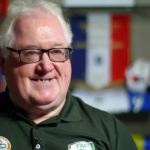 Stephen talked us through his formative years, telling us of his first love, Hurling, a sport at which he was extremely talented, representing Waterford at under 15 and under 16 levels. Stephen was also a talented youth footballer, winning a Munster Schools Junior Cup with Carrick CBS, playing for Johnville FC in Waterford before later joining Carrick United. The lure of professional football then caught his imagination and the opportunity to make his way in that field came when he entered the Crystal Palace Academy in 1997. 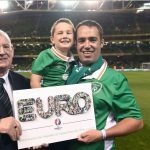 Stephen made his professional breakthrough when he joined Brentford in 2001, where he made a total of 135 appearances scoring 25 goals. Stephen left Brentford in 2005 and looked set to join Bradford City before the eleventh hour intervention of Reading manager Steve Coppell. Four successful years in Berkshire, during which time he made his international debut, were the pinnacle of Stephen’s club career. Stephen subsequently played for Hull City, Wolverhampton Wanderers, Ipswich Town and Coventry City before his retirement in 2016. 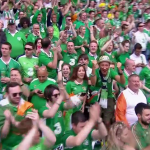 Stephen spoke of his Ireland debut as a substitute in that nervy two one victory over San Marino in February 2007 and his subsequent international career, predominantly under Giovanni Trapattoni, for whom he had the greatest respect. 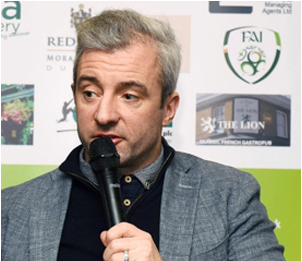 The proud owner of ‘Tides Gastro Pub’ in Rosslare, Stephen also provides football analysis for Talk Radio and has recently entered the football agency business with a group of talented young individuals under his wing. 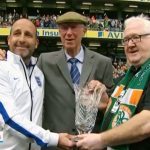 The FAI was represented on the night by their Grassroots Development Manager and a long time friend and member of our club, Gerry Reardon. 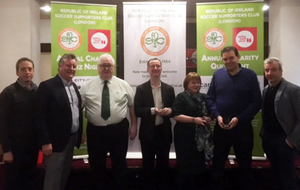 We were also privileged to welcome another long time friend, Jim Barr, Chair of the Derry Branch of the Republic of Ireland Soccer Supporters Club. Overseen by quizmaster Michael Mulvaney and his support team of Sandie, Karen, Kelly, Gemma and Dave, more than forty teams participated in the quiz with the ‘No Brainers’ (Catherine Murphy, Brendan O’Brien and Willie Moone) emerging victorious, while the runners-up were the ‘Ginger Pele Duo’ who gave the victors quite a run for their money. 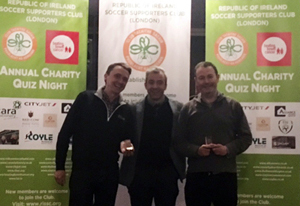 Our special guest Stephen Hunt presented the quiz winners and runners-up with their trophies, which were once again sponsored by Cara Stationery. We extend our warmest gratitude to Gerry Keany of Cara Stationery, who for the seventh consecutive year sponsored the event. 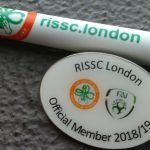 Our grateful thanks also goes to our additional sponsors for their generous contributions – Alliance Managing Agents, Cityjet, Connollys Bar, Chiswick, Red Cow Moran Hotel, Dublin, The Lion PH, Teddington and of course our hosts for the evening the Clayton Crown Hotel. 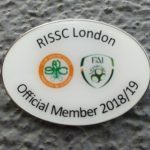 We must also extend an enormous thank you to Roisin Kennedy and Sean O’Halloran for their magnificent efforts in generating ticket sales for our dual raffles. Our grateful thanks also goes to Kim and Sarah who set up and decorated the room and of course not forgetting our DJ for the finale to our evening, Judy.